Compared to traditional “soap and slide” methods, Fibrebond’s system improves safety, speeds delivery, and drives down costs. In the Power industry, the traditional process of installing a multi-piece equipment center requires wenches and soap to carefully slide the structures onto their foundations. Not only is this older method painfully slow and inefficient, it frequently proves to be dangerous, putting the lives and well-being of crewmembers at jeopardy. Fibrebond’s system of offloading involves lifting each building unit via eyebolts located along its roofline, then setting the units directly next to one another. Utilizing this method means that the pier foundations do not have to be as large and oversized, and crewmembers can swiftly set pieces adjacent to previous units, without sacrificing safety. Reduced installation time directly translates into lowers costs, and the center can rapidly begin service. 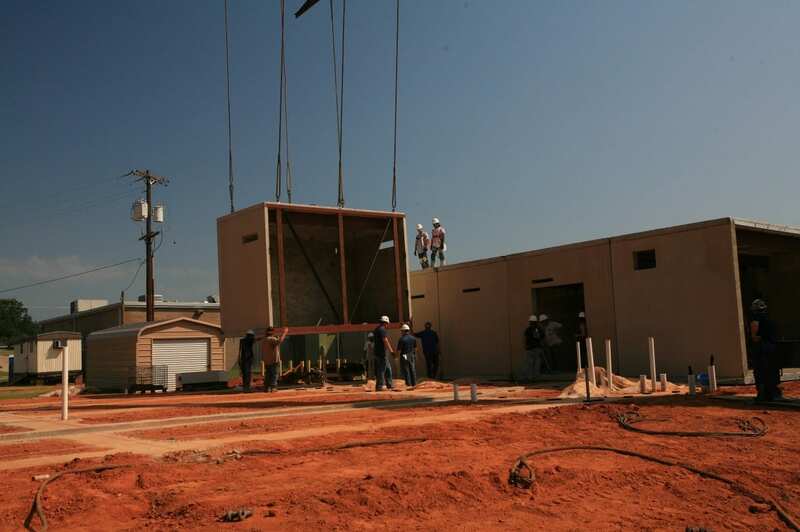 Offloading is a fundamental component in the installation of the protective structures that house and guard the technology at the heart of wireless communication. The conventional method necessitates oversized piers and foundations that add major costs to the total project. Using soap and wenches risks both damage to the sensitive equipment and injury to the crew. Fibrebond’s process for raising and setting structures circumvents the pitfalls inherent in the standard practices utilized by companies in the Power industry. Customers reap the benefits of this innovation in the form of a fast and efficient installation. For over thirty years, Fibrebond has specialized in the manufacturing and delivery of protective equipment shelters and has earned a sterling reputation for its commitment to exceptional quality.